Nothing is more inspiring to me than people who give so much of themselves in service of others, in service of the land, in service of future generations — people who have figured out a way to give so much, and even create institutions and organizations that can multiply this giving. And we have the opportunity to give as well and be part of this bigger vision. Here is a list of some of the organizations around Ithaca area that are really representative of the vision that we have at the Durland Alternatives Library, and that embody the Many Worlds Are Possible ethos that informs our work. This is by no means a complete list. In fact, the number is going up because we’re jumping in to update this list on a regular basis as we meet new people and start new collaborations. Creating this list is inspiring us to consider a directory. Exciting! You can contact us anytime using the chat button on this page to suggest a group you think should be included. Help make it possible for survivors of sexual assault and domestic violence to participate in support groups! Each and every day, we are humbled by the strength and courage of the survivors we work with. One of the most vital services we provide to survivors is the opportunity to participate in survivor-focused, trauma-informed support groups. We have seen the power that these group experiences have for survivors of sexual assault, domestic violence, and child sexual abuse. For those who participate, our groups offer an opportunity to see first-hand that they are not alone — a living example that there is strength in numbers. At Bramble we believe that the health of a community is directly related to the well-being of its members and the health of its environment. Our sustainable medicine model promotes locally grown & ethically wild-crafted herbs to support regenerative practices and to help economically support the farmers and wild-crafters of our region. One of the foundations of our sustainable medicine model is providing the community with accessible information about herbal remedies. Our monthly classes, workshops, and events, as well as our in-house Alternatives Lending Library offer general herbal information on a variety of topics. Our in-depth, personalized consultations offer a chance to gain information directly from a knowledgeable herbalist that is specific to your own health goals. Consultations are by far the most thorough means of sharing herbal information, but they are also the most costly. We do this through affordable productions and workshops of new plays by or about women and people of color; productions of plays developed and performed by community members; programs that use theatre as a tool for personal growth, professional development, or community organizing; and productions of classic plays re-imagined for a contemporary audience to deal with contemporary issues. That’s us! We’re a unique library because we’re a non-profit organization. This gives us the ability to have programs like Prisoner Express and curate a focused collection based on our mission. Your support of the library means a lot and will help cultivate the collection of materials that we make available throughout the region. Please join us as a “Friend of the Alternatives Library” and support our important work. 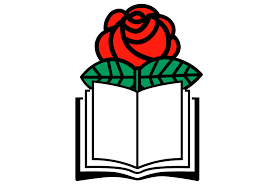 Over the years the Ithaca DSA group has delivered 500+ original, locally produced DVD programs from their public access TV show. This is also broadcast on WRFI, and has become a definitive collection of local progressive history for the Finger Lakes Region. We’re so honored to have this partnership with Ithaca DSA and archive their work. We are dedicated first of all to democracy, and to bringing democracy into the economic sphere. We are not a political party that runs candidates. 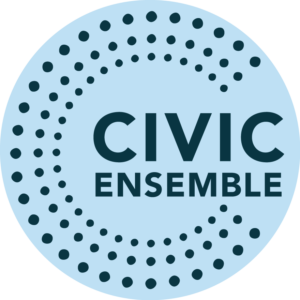 Rather, we are a political organization that engages in many activities as needed: electoral politics, issue politics, organizing, protest, and education. 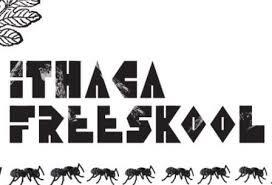 “Ithaca Freeskool is a grassroots platform for free classes, discussion groups, skill shares, projects, and events hosted in a non-intimidating, informal, radical, creative, and fun environment. The Freeskool aims to bring people together to equalize the distribution of knowledge and confidence with an emphasis on skills and issues of local importance. We aim to build community self-reliance and honor individual growth while connecting people with similar interests across differences in age, class, race, gender, and subculture. What do you know? What do you want to learn? 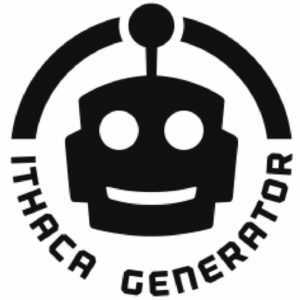 We’ve had a great connection with Ithaca Underground over the years. From sharing a space and zine library at the Worker’s Center, to tabling at shows, to building our collection of underground and independent music, they’ve been an important resource for all ages arts and music in Ithaca. They offer tangible services and activities that make Ithaca a welcoming host community. These things include apartment set-up and basic needs support, cultural and community orientation, financial assistance for resettlement and emergency support, education for the community on refugee and immigrant issues, and fundraising and training for volunteers. This organization does critical work toward the mission of making many worlds possible. “Although we are a small organization, we have deep impact in our communities. 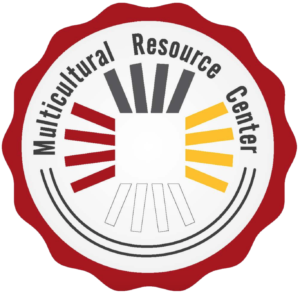 MRC has been dedicated to building community through cultural and political education, antiracism organizing, and cross-cultural movement building! We invite you to learn more about the work we do with our communities. Assumption of innocence until proven guilty: this is our foundation. Ensuring legal representation in the case of indigence: OAR conducts assigned counsel intakes four days a week in the Tompkins County Jail. Bailing individuals pre-trial: individuals bailed pre-trial are less likely to be convicted of the crime for which they are accused. College Initiative Upstate: in 2016, a reentry education program joined OAR. CIU’s mission is to create pathways from jail and prison to higher education. Endeavor House: home. Transitional Sober Housing. This is a correspondence and exchange program that serves over 6,000 prisoners around the U.S. This is a program of the Durland Alternatives Library, so all contributions go directly to postage. “My name is Miguel Velasquez. I’m 22 years old (23 next month) and I’ve been incarcerated since I was sixteen years of age. I’m serving a 25 to life sentence. I haven’t been able to give back to my community much since I’ve been in, but it doesn’t mean I don’t want to. Nydia at Southside Community Center worked with Alternatives Library volunteers to create their website and host their website on the library’s platform. We’ve partnered in the past on events and work together on and off. For years the library shared space with friends at the TC Workers’ Center on the commons. 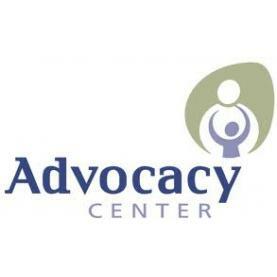 They’re an important organization in Ithaca worth learning about if you haven’t heard about them. “The Tompkins County Workers’ Center is on a move to change the way many workers are treated both IN the workplace, as well as whether we/they are able to even SURVIVE on wages paid for work. Tucked away in a quiet neighborhood on Ithaca’s west hill is a small, unassuming ranch house. This is where Richard Wohlgemuth lives and runs his certified wildlife rehab center, Wildlife Wishing Well. This is an incredibly modest operation – but after talking to Richard, we learned that he has been caring for and rehabilitating injured or sick wildlife since he was a little boy. Running a wildlife sanctuary alone is impossible – but the day to day operations are still up to him. Fortunately, he has volunteers who show up every day to help bottle feed the young orphaned babies, or to build a new shed in the back yard for acclimation. Other volunteers form a network of soft release points around the area for raccoons. Richard calls them “residents” and “nature people”, selflessly offering respect and care with no strings attached. Richard also relies completely on his own income as a retired vet to support this effort – along with small dollar donations that are collected by volunteers. 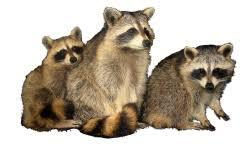 Support raccoons! Long live nature bandits!!! 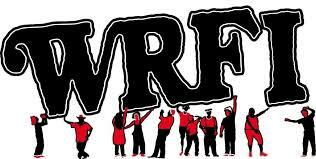 WRFI is a community radio station with over 50 volunteers and countless moving parts to keep things on the air. You can read more on their website and even listen to the live stream. See the 24/7 program schedule, and news provide by the volunteer newsteam. Be part of the resistance to corporate media; set up your monthly or one-time tax-deductible donation today. Support the real news and real people of WRFI. Thank you for your support of local organizations and efforts. Thank you for paying attention, staying informed, and helping to create a world in which Many Worlds Are Possible. And thank you for your ongoing support of the Durland Alternatives Library.